We are also the oldest sporting club in New Zealand! The Wanganui district has a rich history in racing and has produced many successful horses and persons involved in the industry; from breeders to trainers, to owners and riders. We are excited about bringing thoroughbred racing to the Wanganui community and beyond around 10 times a year. 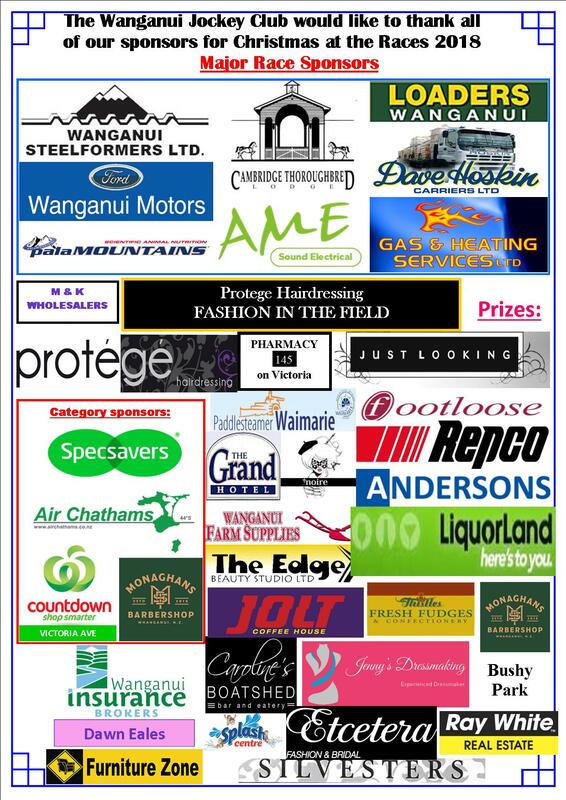 We provide facilities and grounds for such events as the Wanganui Trotting Club race day, Petre Pony Club Mini Show, the A&P Show and we were the central focus for the international vintage car event, the VCC Rally in 2012. During October 1998, the club celebrated its 150th jubilee. A tragic fire in 1997 meant the old grandstand was burnt to the ground, however out of the ashes has risen the Function Centre and its purpose built rooms suitable for modern meeting and function needs. The WJC has managed the hire of the Wanganui Function Centre from April 2017 so if you are interested in hiring our excellent facilities for a function, event or special occassion then please contact us on 06 345 3968 or info@wjc.co.nz. PLEASE NOTE THAT THE WANGANUI RACECOURSE IS A NO BYO AREA.